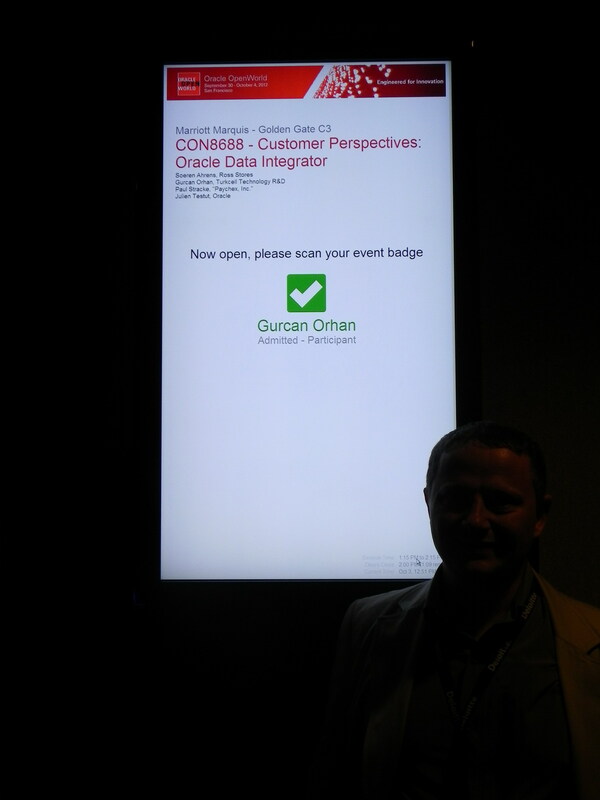 In Oracle Open World 2011 (last year), I had a video session and that video was hidden somewhere in Oracle up to now. Now it is visible and you can able to watch it either below or with this link. 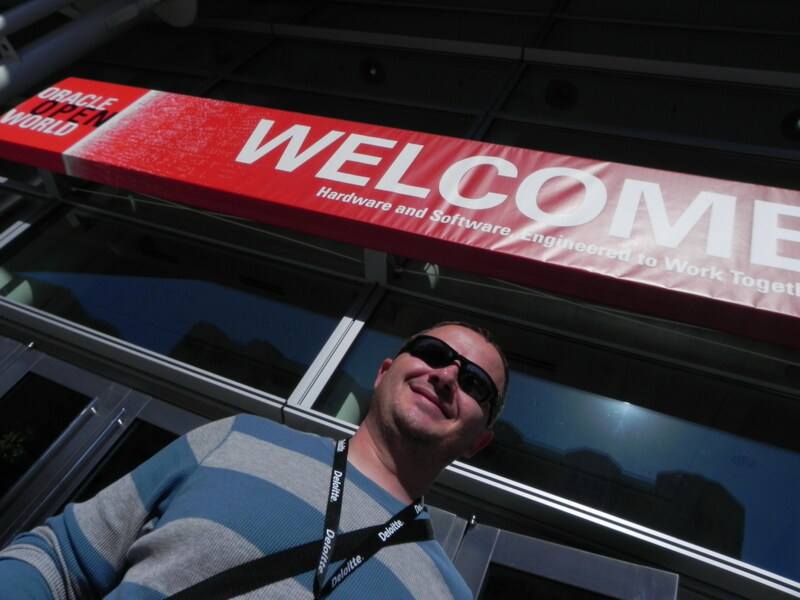 This is the last day of Oracle Open World 2012. I wake up early and had a breakfast, then move to Moscone South to visit Exhibition Hall and have a chat with ODI peers, but what! All the Exhibition Hall enterances was closed on Thursday. San Francisco was getting empty. Everywhere prepared for Oracle Open World is packing up one by one. But, no, this should not finish. 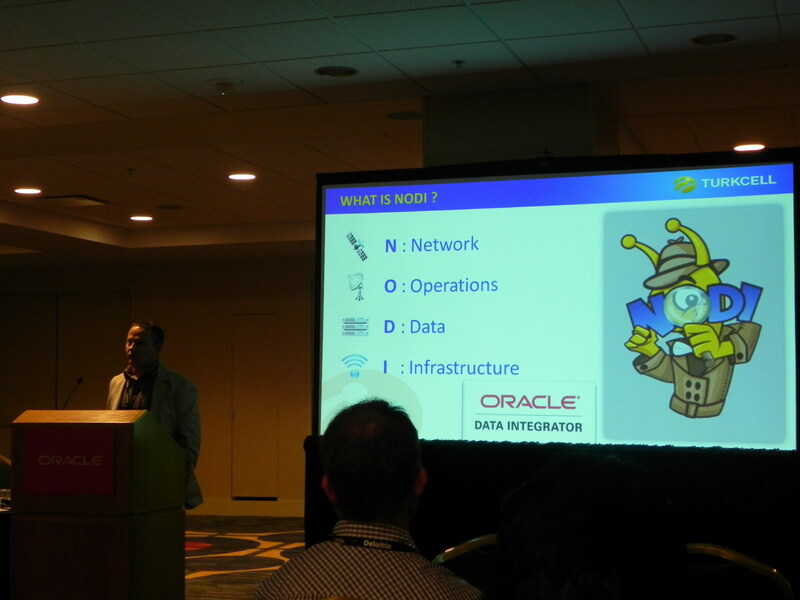 I have gone to Moscone West to attend Denis Gray and Julien Testut’s session, Next-Generation Data Integration on Oracle Exadata. Since it was announced that Turkcell is buying an Exadata for Network Operations Division, which will be used for my precious NODI project, I need to listen this session with complete concentration. I have learnt many things that we need to apply in order Exadata run faster for NODI ETL jobs. At 10:00 am, I have met with Dain Hansen and Mert Sengüner to present a podcast session for NODI. It went really good since Mert caught the disease of nervousness. Although he was so cool before the podcast, he got very nervous during the podcast. I did not see Mert in such a nervous situation. Afterwards I have gone to Demogrounds (Moscone South) to meet with some ODI peers. And the time had come to show up. I have met with Julien Testut Product Manager of Oracle Data Integrator, who is the moderator of our session, whom I share with Soeren Ahrens from Ross Stores, Paul Stracke from Paychex. He made a good start about us and usage of ODI. First, Paul was on the stage and he talked about achievements that they got from ODI. Afterwards, it was Paul’s turn and he talked how they implemented ODI. Oh my god! They went so quickly and Julien told me that I have 23 minutes to fill. But the slides were prepared for 15 minutes, which is my turn in ages. Then I was on the stand and talked slowly about me, my companies and much about NODI project. I finished about 25 minutes and everything went back to normal. Julien concluded the session with some benefits of ODI. We had about 5-10 questions of which I need to answer, because both of Ross and Paychex did not use the features of questions. We had a small chat after the session and I felt a little relaxed. Woke up early and had a breakfast with Mark Rittman and Jon Mead. We talked about life, business (actually Mark don’t like to talk about business in breakfasts, this is I know for sure => just kidding) and many more. 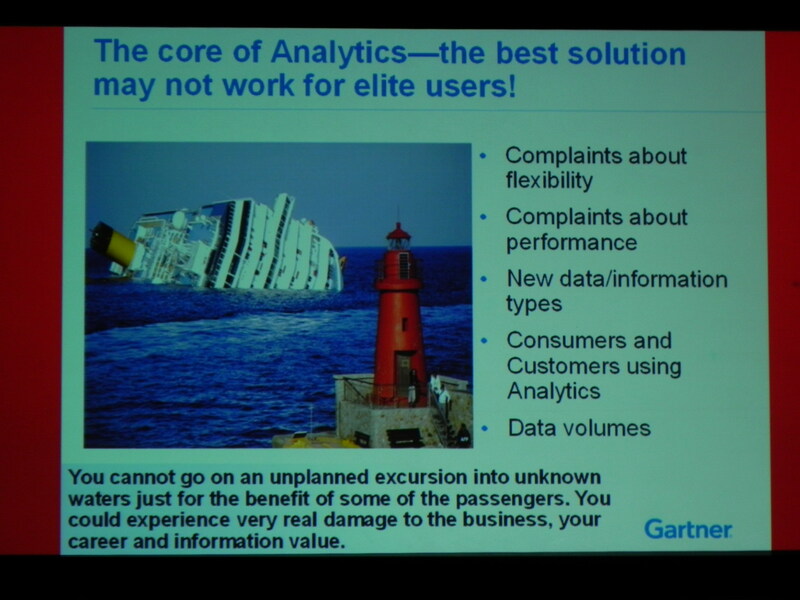 I have attended my first session for Tuesday which was CON8436-Data Warehousing and Big Data with the Latest Generation of Database and presented by Mark Beyer (Research Vice President, Gartner) and George Lumpkin (Vice President, Product Management, Oracle). George Lumpkin talked about Turkcell DW and DB Consolidation. I received a LinkedIn mail late at night from a Turkish consulting fellow and exchanged phone numbers to see in the morning. This is why I’ve missed today’s keynote session, but it worth it. New York Oracle User Group suggest me some webinar activities to meet with New York’er ODI users online and share my experiences. It’s my pleasure to improve ODI in any platform to any users. Then I’ve attended Irem Radzik’s session in Moscone West. 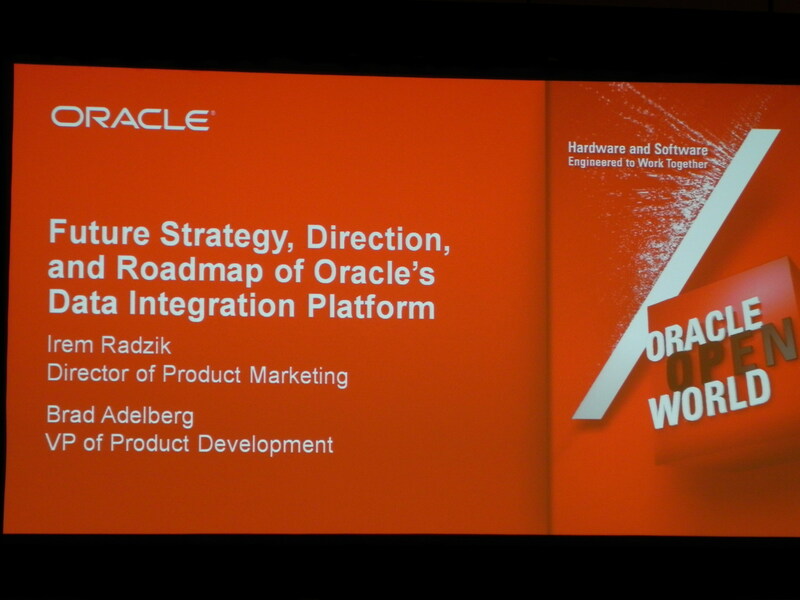 Hear Brad Adelberg talking about the future of Oracle Data Integration Platform. Learned lots of stuff and met with Brad in person. After sleeping 3 hours, we have successfully found our car somewhere and left it to rental company and it is time for Oracle Open World 2012 to start.